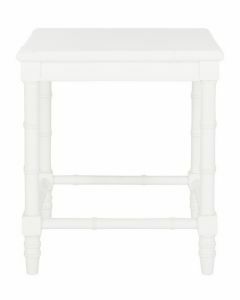 Refresh any modern interior with this effortlessly chic end table. An ideal accent piece for the living room or boudoir, its clean lines and exquisite texture make this grey wicker interpretation of the classic barrel stool a decorator favorite. This item measures 16.5" x 16.5" x 18.1”. Click on images for greater detail.